Shots of the southern stars and the Aurora Australis or Southern Lights, these are the southern hemisphere equivalent of the Aurora Borealis or Northern Lights. 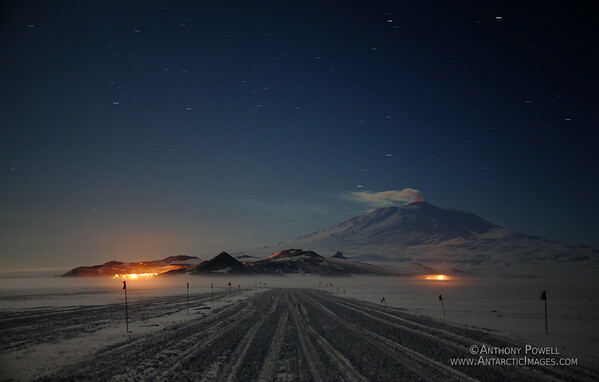 Taken during the Antarctic winter in the general vicinity of McMurdo Station and Scott Base. McMurdo Staion (left) and Scott Base (right) as seen from the Ross Ice Shelf. Mt Erebus is in the Background.